People travelling to Baguio for the annual Panagbenga festivities now have a mobile app to turn to for quick answers to questions like where to stay, what to eat and how to get around during the much anticipated flower festival. Developed by Cebu-based startup InnoPub Media in partnership with Smart Communications, Inc. (Smart), the Baguio Guide app is a reliable and handy tool, especially for first timers in Baguio City. “With the Baguio Guide app, people can plan ahead their itinerary, accommodation and travel plans, and other activities they want to do in Baguio. It’s like a virtual tour guide that can help them maximize their stay in Baguio as they participate in the flower festival,” said Smart Public Affairs Group Head Ramon Isberto. Developed by Cebu-based startup InnoPub Media in partnership with Smart Communications, Inc., the Baguio Guide app is a reliable and handy tool, especially for first timers in Baguio City. Apart from the section about the Panagbenga festival, the app also features helpful information about the city. Articles on must-try food and must-visit places in Baguio, as well as the Department of Tourism-accredited tour guides and tour operators are also listed in the guide. One interesting feature of the app is the “tap to call” feature allowing users to call phone numbers in the app with just a click. It has a directory of important contact numbers of hospitals, emergency units, and police stations. The app also provides location data. Some places featured in the guide are GPS-tagged with a “check location” link. With a single tap, the app will suggest routes and directions to the desired destinations via the GPS guide system of the users’ devices. “The Baguio Guide is a useful resource to tourists because it is on a device that people take with them wherever they go: the phone,” said InnoPub Media co-founder Max Limpag. InnoPub recently released a new version of the guide for Android users. Smart, in partnership with Sun.Star Baguio, will also make available the live streaming of Panagbenga activities through the Baguio Guide app, from Feb. 28 to March 1. The Baguio Guide app may be downloaded for free at Google Play Store and Windows Store. The development of tourism e-guides is part of Smart’s digital inclusion advocacy, which aims to include more Filipinos in the digital conversation by making information available and accessible through the use of mobile and web technologies. Aside from Baguio Guide, Smart and InnoPub also developed tourism guide apps for Iloilo City, Sta. Barbara (a town in Iloilo), Cebu City and Cebu municipalities namely: Samboan, Boljoon, Carcar, and Argao. Smart and InnoPub also developed the Sinulog Guide last year. Its 2015 version released last month generated around 2,500 downloads, and positive feedback from users. In addition to the apps, Smart and InnoPub also deploy interactive tourism markers that, when scanned or tapped with a phone, trigger the download of tourism and historical information about that certain place or structure. The interactive markers are currently installed in various heritage and tourist spots in Baguio, Cebu and Iloilo. Get a guide to Baguio City in your phone or tablet by downloading our free Baguio Guide from the Google Play Store or Windows Phone Store. The app is a comprehensive guide to the Philippines’ summer capital, listing things to do and places to stay or go to. It also contains a portable directory of important contact numbers and DOT-accredited establishments. 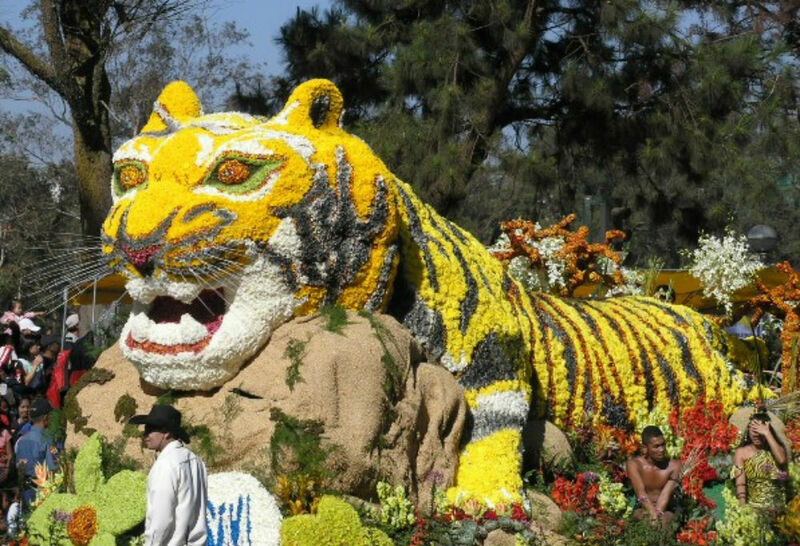 Taking inspiration from Pasadena’s “The Rose Parade,” Baguio City’s Panagbenga Festival is held not in honor of some saint or legend but pays tribute to the city’s beautiful blooms. A historian and museum curator, Ike Picpican, named the festival Panagbenga, a word in the local Kankanaey dialect that refers to a season of blossoming. For a city that has been through so much, the Panagbenga takes on a special significance as it also means the blooming of an idea or vision for hope, revival, unity, and growth. Baguio’s crowd-drawing flower festival was conceptualized in 1995 by a man they now call the Father of Panagbenga, Atty. Damaso Bangaoet Jr. The city was still reeling from a killer quake that left it in rubbles in 1990. The Panagbenga Festival gave people hope for a brighter future. Bangaoet, who was then the head of the John Hay-Poro Point Development Corporation (JPDC), presented his idea to the board of directors and it was immediately approved. JPDC allocated funds to help bring it about. Like its wild sunflower emblem, the Panagbenga Festival continues to blossom year after year. The people of Baguio and visitors to the summer capital took to the flower-inspired festival as it doesn’t trample on cultural practices or beliefs and divide tribes. 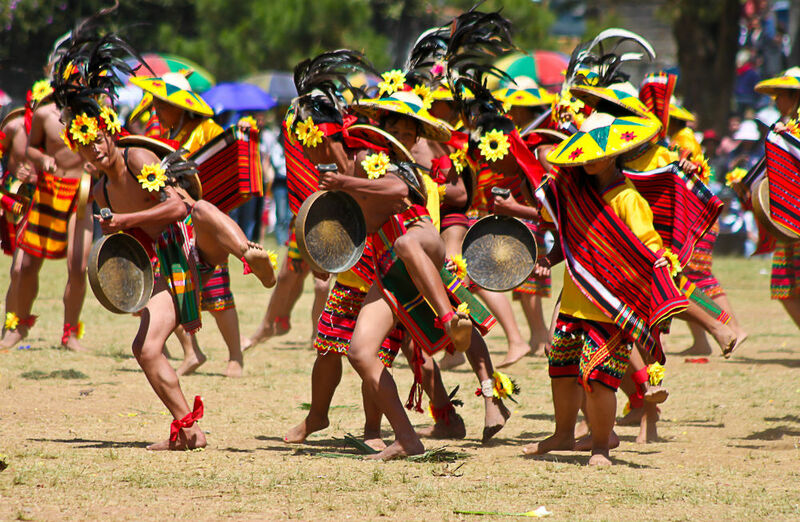 What the celebration does is promote local culture and unite a Baguio of diverse ethnic backgrounds behind a festival it can consider its own. Bangaoet cooked up the festival to draw more tourists to Baguio on a February, which is considered a lean season for travel. The Panagbenga Festival has grown to become one of Baguio’s biggest tourism attractions some 20 years since it was first conceptualized. One of the highlights of the month-long celebration is the Floral Parade, which happens on a seven-kilometer stretch of street and involves groups of dancers garbed in flowery costumes performing the Bendian dance. The biggest draw of the Panagbenga Festival, however, is the Grand Float Parade. During this event, Baguio highlights its artistry in the flower float creations that glide through the streets.